The climate of Vancouver Island has changed over time. Locals can remember when winters brought snow and on occasion Fuller Lake froze over. Children and adults strapped on their skates and spent a few enjoyable hours at the lake. Impromptu hockey games were great fun. 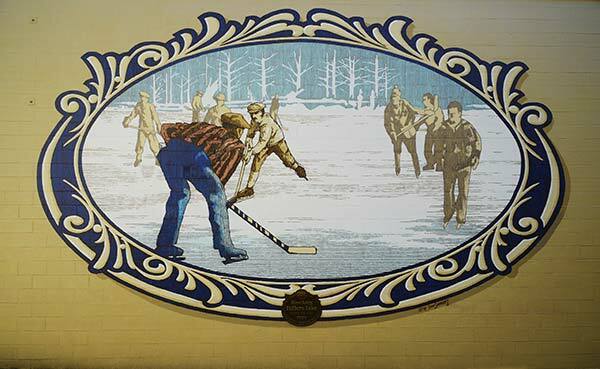 Skating On Fuller Lake is painted in a style that is reminiscent of bygone days. 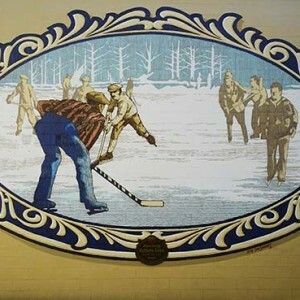 This mural was painted as part of the 25th anniversary celebration.